Which upcoming heroes are you excited the most? - General Discussion - Mobile Legends: Bang Bang - Powered by Discuz! 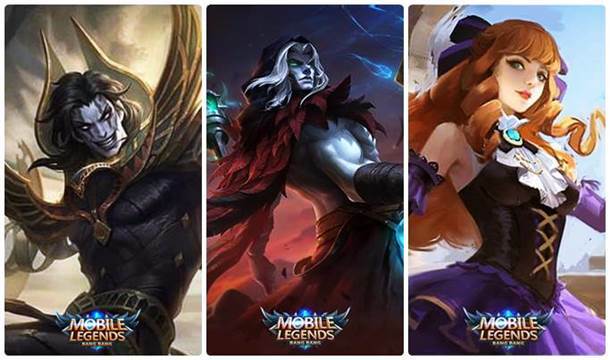 Mobile Legends: Bang Bang»Forum › Here I come › General Discussion › Which upcoming heroes are you excited the most? [Query] Which upcoming heroes are you excited the most? Yep. We have Khufra, Faramis, and Gwen. They are already in advanced server now. Just wait the time until they'll arrive to original server. All of them have different roles & unique abilities. And which hero do you think will be joining the meta? Myself, I will buy Khufra since I'm mostly playing Tank, and for sure he will be in the next meta for 100%. I didn't make a poll, so you can give your opinion freely about those 3 upcoming heroes above. By the way, Faramis is not pure Mage. Absolutely guinevere and khufra.. faramis isnt really interesting imo..
Guinevere, because she is first mage fighter in MLBB. So ya very excited for her. I cant play Faramis and I wont buy him. He is weird I think. Guinevre and Khufra are instabuy. Lol Khufra not Tank/Mage. And all his skill are mix physical and magical using physical item only.